If you are over age 50 – or you will reach that age by the end of the year, the law lets you ramp up your retirement saving. This is true for IRAs, including a Self-Directed IRA, and most workplace retirement plans as well, and it’s true for Roth accounts as well as for traditional tax-deferred plans. That’s good news for a lot of our Self-Directed IRA clients, many of whom are themselves small business owners or real estate investors, who had to reduce retirement saving during the 2008-2010 recession or put it on hold completely. If you fall in this category… or really, if you’re just age 50 or older by the end of the year … now’s the time to play catch-up, by taking advantage of the so-called ‘catch-up’ provisions of IRAs and retirement plans. The exact amount you can contribute depends on the tax year and the type of plan. For tax year 2017, anyone in either a 401(k) plan (SIMPLE 401(k)s excluded), 403(b) plans, SARSEPS or Section 457(b) plans established for government employees can contribute an additional $6,000, over and above the normal applicable contribution limits for each plan. The same rues apply to self-directed 401(k) plans. The federal Thrift Savings Plan also allows participants age 50 or older to contribute an additional $6,000 over the $18,000 annual elective contribution limit. You must make catch-up contributions in the form of elective deferrals. You must also have them completed prior to the end of the plan year for them to count for the current year. For IRA owners, including those who own a Self-Directed IRA, you can contribute an additional $1,000 if you turned 50 or older by the end of the year. You have until April 15th, 2016, to make your contribution for tax year 2015, and you have until April 15th, 2017, to make your contribution for tax year 2016. The same rules apply for both a conventional IRA and a Self-Directed IRA, including a real estate IRA. These rules have no effect on employer contribution limits. The same limits on employer matching or other contributions still apply. With offices in both Asheville and Charlotte, North Carolina, American IRA, LLC is one of America’s leading authorities on Self-Directed IRA investing. We work with successful, smart and experienced investors from coast to coast who are attracted to the flexibility and freedom that taking a self-directed approach to retirement savings offers. Our clients are achieving success by diversifying retirement accounts into everything from real estate to precious metals to tax liens to farms, ranches, partnerships and closely-held businesses of all types, and more. For more information on catch-up contributions, or to arrange a consultation, call us at 866-7500-472(IRA), or visit us online at www.americanira.com. 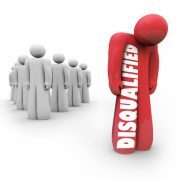 Who is a Disqualified Person to your Self-Directed IRA? What is the Age Requirement to Contribute to a Self-Directed IRA?